Emerge Events is an event management company founded by Jennifer and Steve Clark in 2011 with our first signature event, the Pine Belt Women’s Expo. Since then we have created several signature events and have also work with businesses and nonprofit organizations on their event planning needs. We offer full event management services as well as last-minute emergency event planning assistance, event evaluations, and event consultations. Keith’s Superstore’s, Magnolia Graphics and Signature Magazine present the Caerus Mardi Gras Masquerade Party kicking off the Mardi Gras season in Hattiesburg!! Each ticket comes with an event t-shirt, choice of mask, a carriage ride through Downtown Hattiesburg with the Honey Island Clydesdales (cozy blankets provided! ), photo booth pics with the Mississippi Hippie photo booth van, live music from the No Idea band from New Orleans, entry to win a beautiful piece of jewelry from Jewelmasters, delicious food, cash bar with signature New Orleans favorites, and complimentary coffee provided by St. Michael’s Coffee Co. This event is designed to connect the event planning community, share information, and showcase event resources available in the Pine Belt. By the end of this conference we want you to have more connections, information, and tools to create the most successful event possible. Emerge Events is excited to present this event in partnership with The University of Southern Mississippi’s Hospitality and Tourism Management’s Convention Management class. More information at www.emergeevents.com/connect. More events like this to come! FestivalSouth is a multi-week, multi-genre arts festival that takes place in June each year. This year FestivalSouth celebrates 10 years! Emerge Events is honored to be a part of FestivalSouth by coordinating the youth programs. We coordinate the Artie Events for Families, Festival Events for Teens and the FestivalSouth Youth Ambassador Program. More information can be found at www.festivalsouth.org. Saturday, August 17, 2019, 10 a.m. – 2p.m. The Pine Belt Women’s Expo is designed to enrich, empower, and entertain women in an environment of celebration and fun. We aim to positively impact the lives of Pine Belt women as they find products or services that make a difference in their lives. Visit more than 100 exhibitors, learn, shop, sample, and have fun! Find out about exhibitor and sponsor opportunities here. 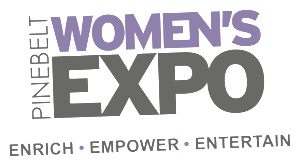 Visit the Pine Belt Women’s Expo website for more information about attending and for pictures from last year! October 17 and 18, 2019, 8 a.m. – 4 p.m.
Hattiesburg Clinic Connections and Psychology & Counseling will host the 16th ADHD and Related Concerns Conference Oct. 17-18. The conference will include sessions on various topics, including ADHD and coexisting disorders, dyslexia, behavior management, autism and addiction. For more information visit www.hattiesburgclinic.com/adhd. Emerge Events is teaming up with Red Door Marketing to produce the Be Bold + Emerge Women’s Leadership Summit. This is a one-day event that connects women to professionals from our community to help them find balance, promote our health, and explore our path on both a professional and personal level. We also want to inspire the next generation of women. We will also have sessions for girls 8-17 at the conference. For more information about tickets, sponsorship, and exhibitor opportunities visit HERE. Emerge Events creates memorable events with a professional and innovative edge. No event is too small or too large. We tailor each event with your ideas and vision in mind. At Emerge Events, we evoke excellence by creating exciting events to help your business emerge. From conferences to employee appreciation events, we take on as much or as little of the event planning tasks as needed so that you can focus on getting the most value out of your event. You need more than an idea, you need an expertly crafted strategy. We’ll work with you to design an event that attracts the right people, builds your brand and accomplishes your goals. From venue selection to the tiniest detail, we know how to create a plan that ensures your event goes off without a hitch. And when problems do arise, we have the experience necessary and a plan in place to keep your event running smoothly. If no one knows about your event, did it really happen at all? We know how to reach your desired audience both online and offline in order to make your event a success. Your event should be your time to shine, not a source of stress or confusion. Our day-of event management experience and expertise ensures that you can do what you do best – build relationships with your attendees. We’ll handle everything else! Want to take your event to the next level? Let us help you refine and optimize each step of your event planning process and provide the insight and direction you need to build and grow your event year after year. Need a qualified speaker for your event? 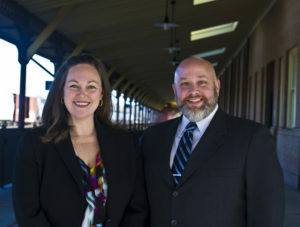 We are available to provide insight, tips and techniques about effective event planning, promotion, building relationships, organization and team management.